Why isn't my email working when making a account? 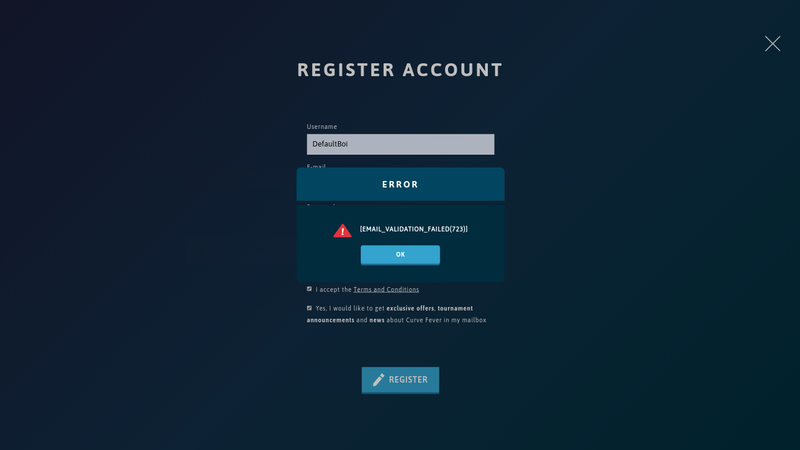 So recently, every time I tried to make an account for Curve Fever Pro (I mean the game), my email won’t work. Is there any way to fix this problem? Send a support request on what email it is. In general only valid emails are allowed.